The Court of Arbitration for Sport (CAS) will this summer rule on whether Jersey's bid to join Uefa should be considered by existing member nations. 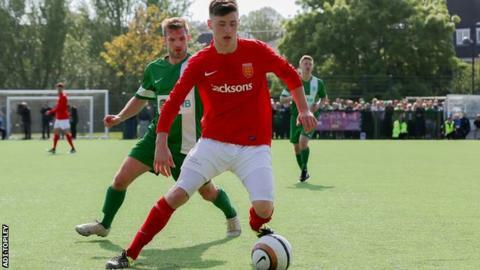 The Jersey FA's application was rejected by Uefa officials last year on the grounds that the island is not recognised as an independent state. But Jersey, currently affiliated to the English FA, believe their bid needs to at least be put to members at congress. CAS will rule on the matter after a hearing on Wednesday, 28 June. Jersey, with a population of around 100,000, want to be recognised as an international side in their own right, but are currently classed as a county by the English FA. If eventually accepted, like Gibraltar and Kosovo before them, it would potentially lead to European Championship qualifying fixtures and open up Champions League qualifiers for Jersey clubs. The date of the CAS hearing, at its headquarters in Lausanne in Switzerland, clashes with the 2017 Island Games in Gotland, when Jersey's women will be trying to retain their title and the men will be targeting the fourth gold in their history.